For many of us, things that usually come to mind whenever Thanksgiving is mentioned are turkey dinners, candied yams, cranberries, football, and four-day weekends. The very first Thanksgiving however, was a simple gathering and not a feast nor a holiday. After the Mayflower arrived on Plymouth Rock on December 11th, 1620, the Pilgrims lost nearly half of their original 102 colonists. Native Americans helped the remaining Pilgrims survive the winter by teaching them which crops to plant and where to hunt, paving the way to a bountiful harvest the following year. To celebrate, they enjoyed a traditional harvest festival over three days, which brought the Pilgrims and Natives together in observance of Thanksgiving. Thanksgiving is a reminder of the bounty of gifts we all are lucky enough to have received throughout our lives, whether big or small. At Thanksgiving dinner, we spend a few moments right before dinner to give thanks and enjoy the company of friends and family. Sadly, for many people, the meaning of Thanksgiving is simply within those few moments of giving thanks before slicing off a piece of that delicious turkey. The core essence of Thanksgiving has gone through multiple changes. Over the centuries, families have added their own customs to the occasion while preserving its true meaning. Thanksgiving unites families – Gathering in celebration of a common purpose is always a heartwarming occasion. It is an opportunity to set aside all differences and enjoy a time of healing. Sharing experiences, whether good or bad, allows us to find hope and strength. Building a legacy – When families gather for Thanksgiving, every generation adds and brings purpose to the significance of the family’s heritage. Exchanging stories and reconnecting with other members of the family, and enjoying a hearty Thanksgiving feast together all help in forming a family legacy. Expressing gratitude – Thanksgiving is a celebration that allows us to reflect upon all the positive things we have received throughout our lives, whether it’s family, friends, good health, and so on. By giving us the opportunity to express gratitude through the occasion, we acknowledge all of the gifts and blessings that have come our way. A significant part of Thanksgiving lies in sharing good fortune with others, similar to what the Native Americans did with the Pilgrims. It is the perfect opportunity to encourage children to think about how they can help others, whether it’s within your own family or through charities. You can create your own traditions focused on giving thanks by organizing food drives, volunteering at elder hospices, and so on – any simple activity that can help you spread joy to others will do. One of the best things about Thanksgiving is how it brings everyone together, regardless of any religious or cultural differences. 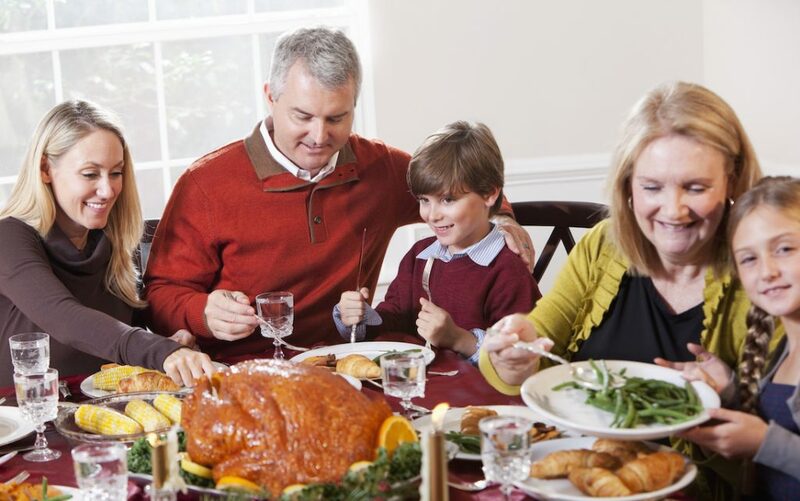 Religious families can celebrate the importance of giving thanks to God, while more secular families can simply celebrate anything they’re thankful for. Whatever the occasion means to you, it’s always nice to acknowledge feelings of gratitude and appreciate all of the people present in our lives, which if you think about it, is really what Thanksgiving is all about. We would like to wish you a beautiful and blessed Thanksgiving and say “THANK YOU” to all of our clients for the incredible trust and support throughout 2018.